If you’re a theatre person, Jeff Bowen and Hunter Bell’s self-inspired meta-musical [title of show] is something you will undoubtedly love. If you’re not a theatre person, you will likely enjoy it slightly less, but it’s still a funny and affecting story of creation, even if you don’t get every Sondheim reference. With very few lowpoints (“Monkeys & Playbills”? Really? And the dream sequence should probably be cut), [title of show] is a brilliantly constructed piece of theatre that’s meant to be performed with just “four chairs and a keyboard”, making it the perfect musical to introduce a new company. 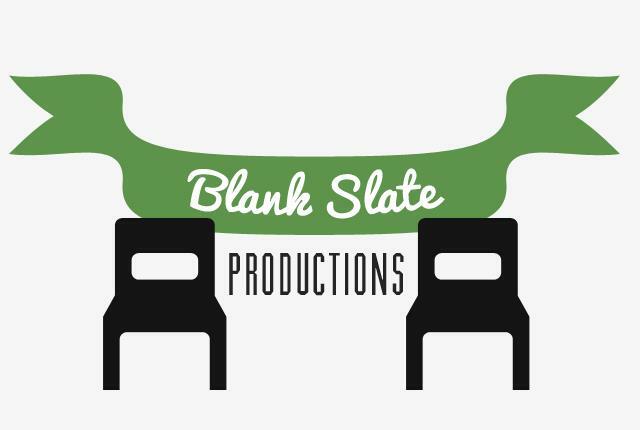 Under the appropriately restrained direction of co-artistic director Kevin Vidal, [title of show] (which plays July 26-29 at the Lower Ossington Theatre) does Blank Slate Productions credit as their very first fully staged endeavor. As budget-friendly and easily staged as [title of show] is, it’s equally difficult to actually perform. The four roles were all originally played by the people they are based on (ie: creators Jeff Bowen and Hunter Bell played the main characters, musical theatre writers Jeff Bowen and Hunter Bell) and the writers didn’t shy away from chronicling the in-fighting and pitfalls of Jeff, Hunter, Heidi and Susan’s time with [title of show]. As such, all the characters are fully formed, nuanced human beings with complicated interpersonal relationships and damn impressive vocal chords- that’s a lot for a young actor to play, and a tall casting order for a company just starting out. [title of show] is a tough one to screw up; the only way a production will fail is if they can’t find 4 actors up to the demanding harmonies and delicate character dynamics. Blank Slate found them. Forbes MacQuarrie, Bianca Heuvelmans and Michelle Nash join co-founder Graham Fleming (along with David Ruggiero as the keyboardist of few words, Larry) to make or break the production (in this case, make). The girls are particularly good. Susan is, I think, the best written role with great deadpan humour and a tangibly clear point of view, and Michelle Nash (whom I’d only seen before in the LOT’s Rent ensemble) is nothing short of awesome in the part. With great presence and a much stronger voice than Susan claims to have, Nash nails the detached sarcasm and warm loyalty that makes Susan conflictingly captivating while also making her the only truly confident character in the room (headlining the great creativity anthem “Die Vampire, Die!”). Bianca Heuvelmans’ Heidi is excellent in opposite ways. Where Nash is precise and clever, Heuvelmans plays Heidi soft and sweet (though she’s styled terribly. I’m not sure who to blame that on, but the normally pretty Heuvelmans looks like an extra from a Paula Abdul music video as Heidi). She’s not quite as funny as Susan, but she’s more consistently endearing, with a glorious voice. There’s a moment near the end of the play when Jeff and Hunter contemplate replacing Heidi with Sutton Foster and the light fades on Heuvelman. Sitting on the stage left side, I watched her through the darkness and she broke my heart with a beautiful mix of confusion, betrayal and frantic worry (all while standing alone in the darkness, with no lines). Moments like that are everywhere in Heuvelman’s performance; by committing 100% to her character every minute she’s on stage, she steals more scenes than she speaks in. Together, Nash and Heuvelman create a fascinating female dynamic that starts with the accusatory “What Kind of Girl is She” and comes to a hilarious and touching head in “Secondary Characters” (my favourite song in the show). Just as the Heidi-Susan dynamic is well developed, the male-female friendships stand out. Heidi, the new addition to the group, shares a lovely bond with Jeff while Susan clings to Hunter in response, each pair bringing out the best in the performers. Graham Fleming’s Jeff has some beautiful moments (a defeated phone call to Hunter is particularly moving) but isn’t as consistently convincing as the other characters. Fleming doesn’t commit to Jeff’s distinguishing qualities enough to read as more than a regularly charming Graham Fleming character. His voice is up to its usual standard, however, (meaning flawless) and he is such a likable presence that Jeff becomes the lowkey leader of the group on stage presence alone. Forbes MacQuarrie, in contrast, plays Hunter with so much energy and quirk that he’s almost too big. MacQuarrie’s voice is the weakest of the four and often drowned out by Fleming in any two-person harmonies, but he does the best job of playing to the audience and draws us expertly into his dream of Broadway success. Jeff and Hunter’s friendship is fun (at its best when they’re bantering about shrimp, not fighting for their artistic lives) and the group dynamic is generally strong enough that when in-fighting threatens to break them up in the amusing/sad “Awkward Photo Shoot” (particularly well staged by Vidal), it’s genuinely upsetting. I noticed the occasional harmonic misstep, but Nash, Heuvelmans, MacQuarrie and Fleming fare excellently for the most part when battling Bowen’s challenging group harmonies (and Bell’s very real characters). Before Blank Slate’s debut, I don’t think I’d seen a premiere production this cohesively strong. [title of show] is a smartly chosen piece (a challenging character show, simple production-wise) and the company managed to find four performers who are well up to the task. Blank Slate’s off to a promising start and I’m sure they’re not going away anytime soon. 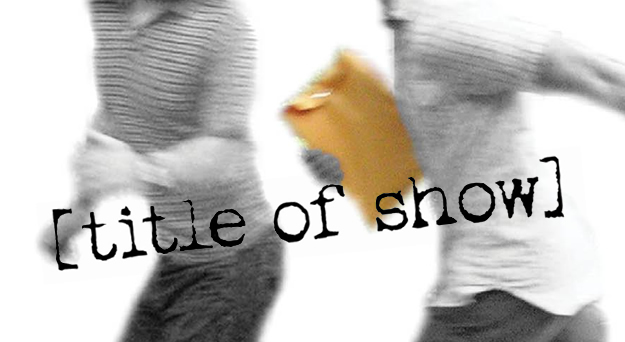 [title of show] is at the Lower Ossington Theatre, July 26-29, 2012. Get your tickets HERE.